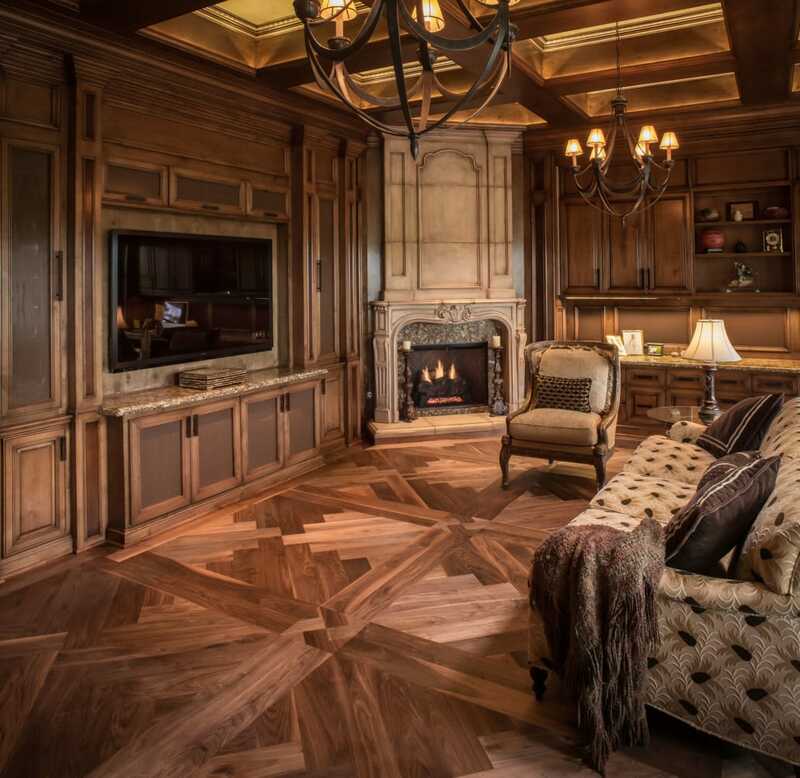 The den’s dramatic coffered ceilings provided inspiration for the walnut flooring in this Woodlands-area home. 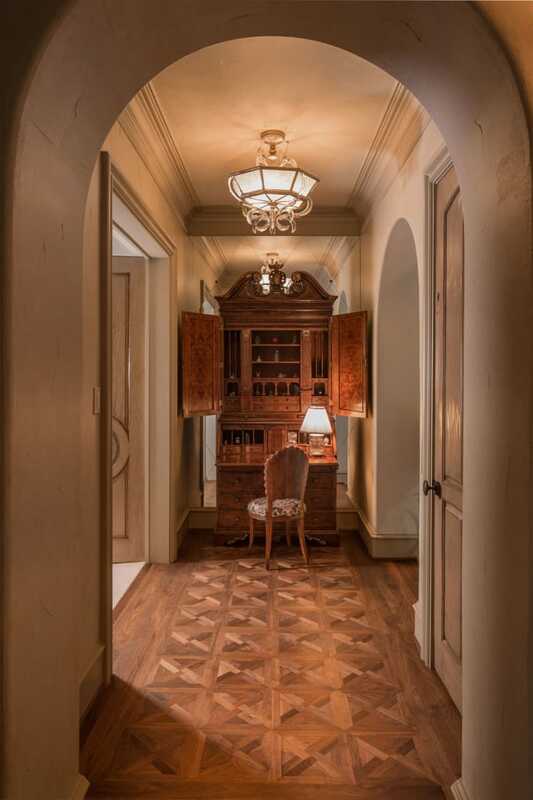 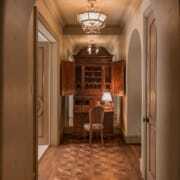 The flooring pattern is a consistent theme in other areas of the house, though the scale has been adjusted to fit the proportions of each room. 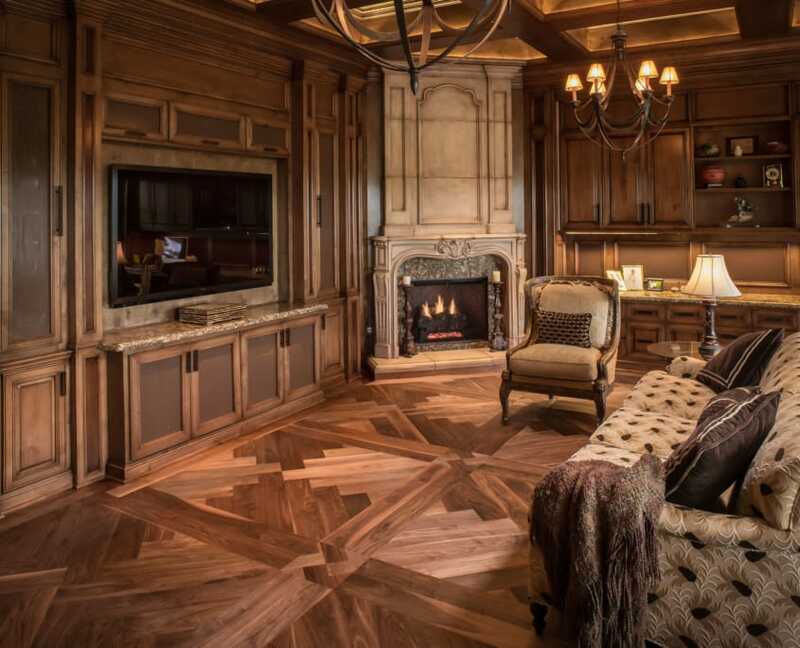 A light stain and multiple coats of burnished oil sealer give the floors a handsome depth and golden luminosity.